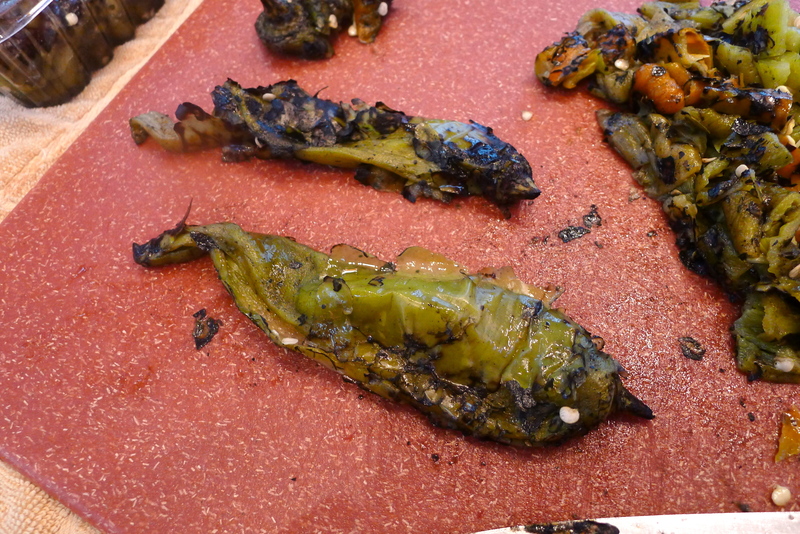 In Durango, you know fall is here when you smell the green chiles roasting in the air. Outside of the grocery store, big cylinder cages are filled with fresh whole green chiles, spun rotisserie-style over the flame until the chiles inside the cage are charred and smoky. There’s no other flavor like it. 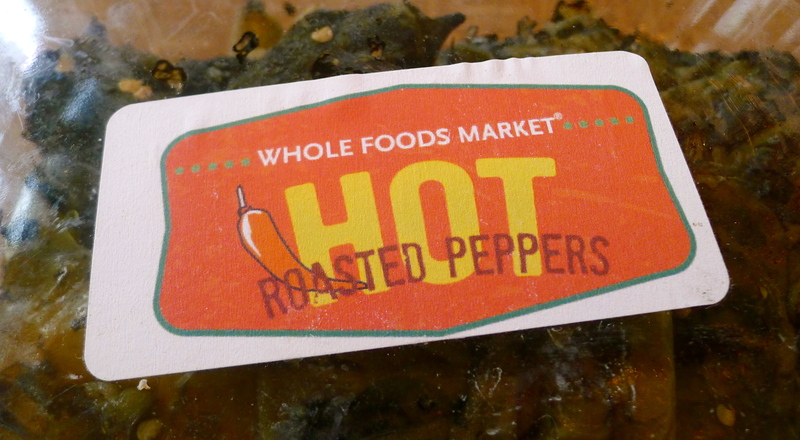 When I spotted a roaster outside of our local Whole Foods last weekend, I let my nose lead me to those freshly roasted chiles. 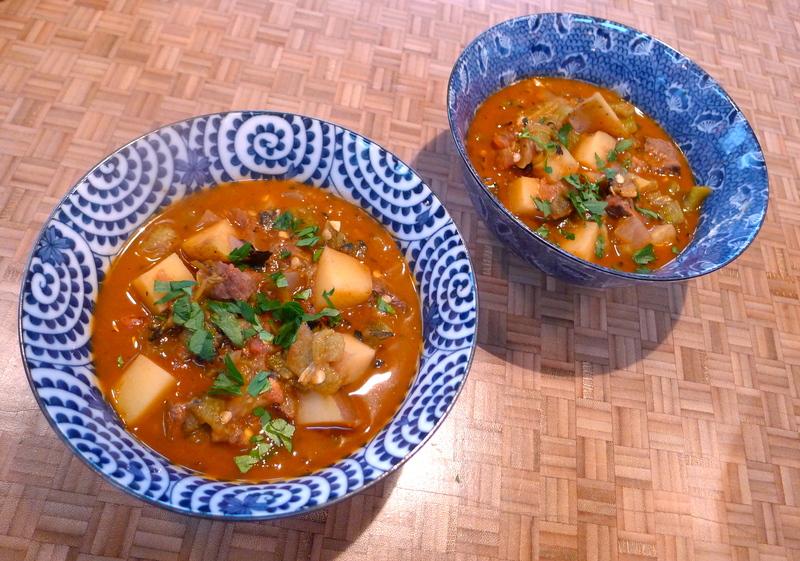 Green chile stew on a stormy weekend evening sounded just about perfect. 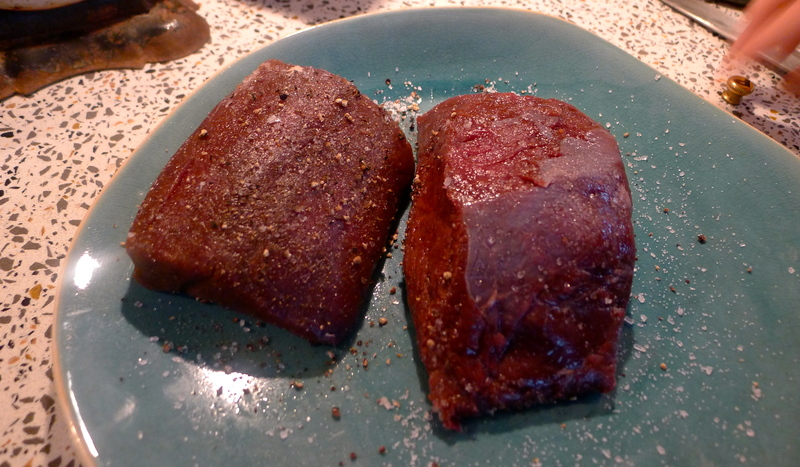 John suggested using an elk strap loin we had in the freezer instead of beef sirloin. I let him be in charge of the meat while I chopped veggies. Sometimes simple is best. There’s not a lot of fancy culinary skill going on with this stew. 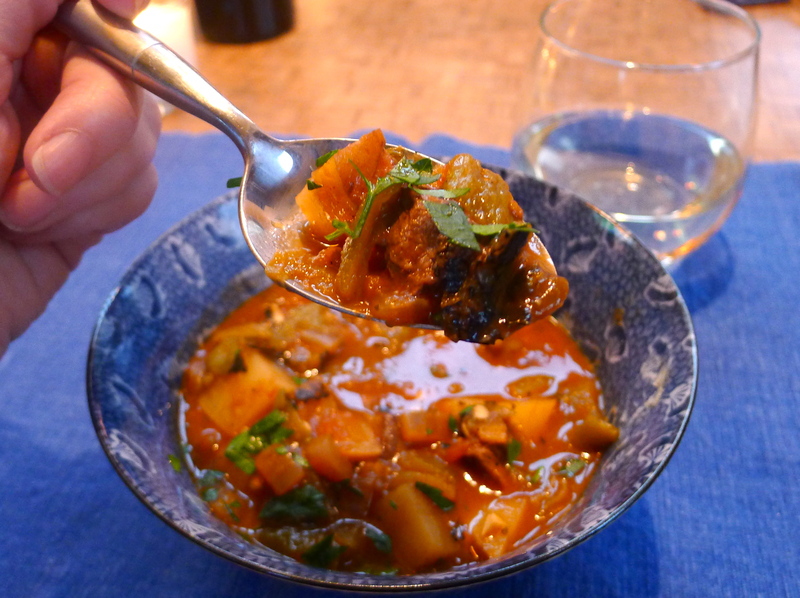 The flavorful ingredients speak for themselves and mingle together into a delicious stew. 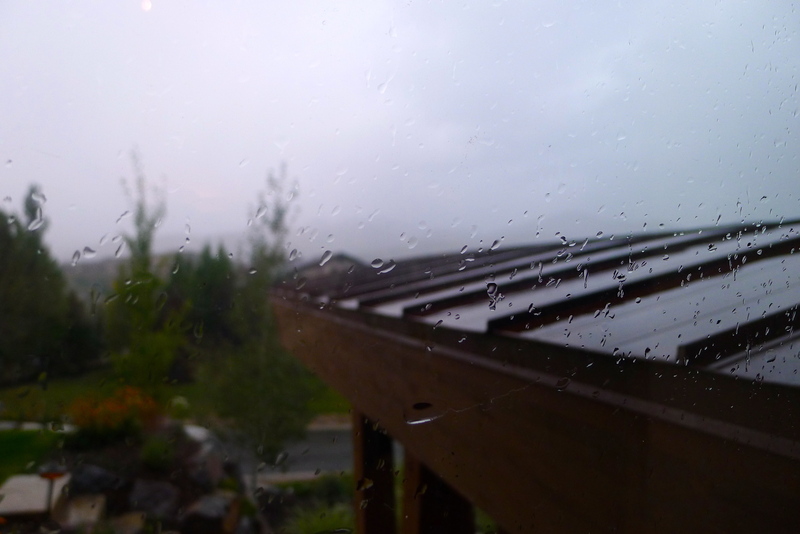 While the rain fell steadily outside, John seasoned the meat and seared it on both sides. 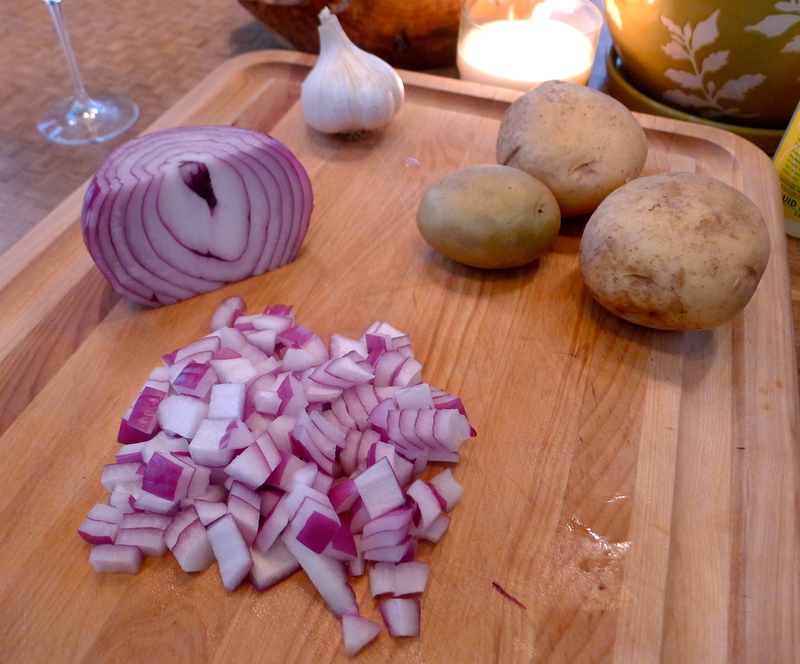 He set it aside for later while I prepped onion, garlic, and lots of potatoes. 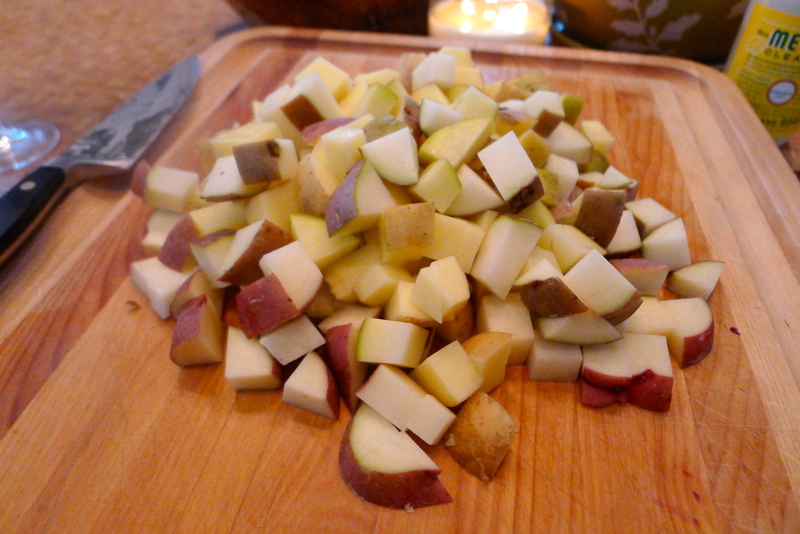 All good stews include potatoes! 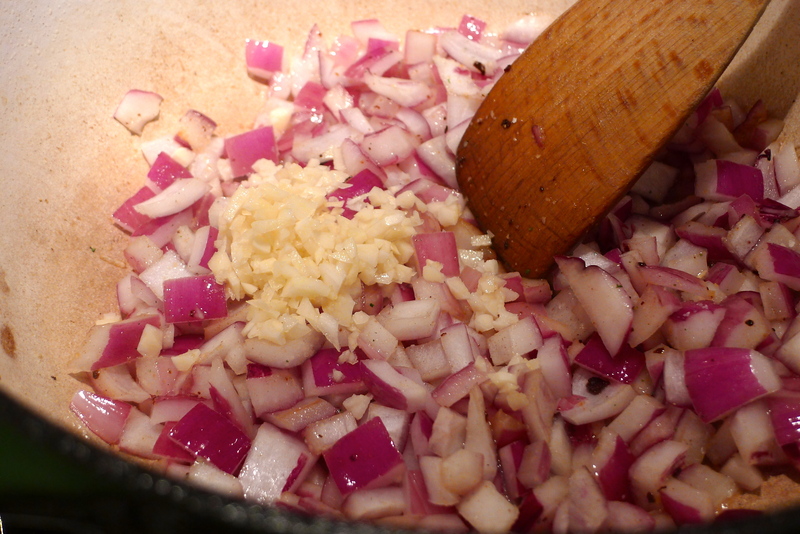 Into the pot with all of the meat drippings, I tossed the onion and garlic. 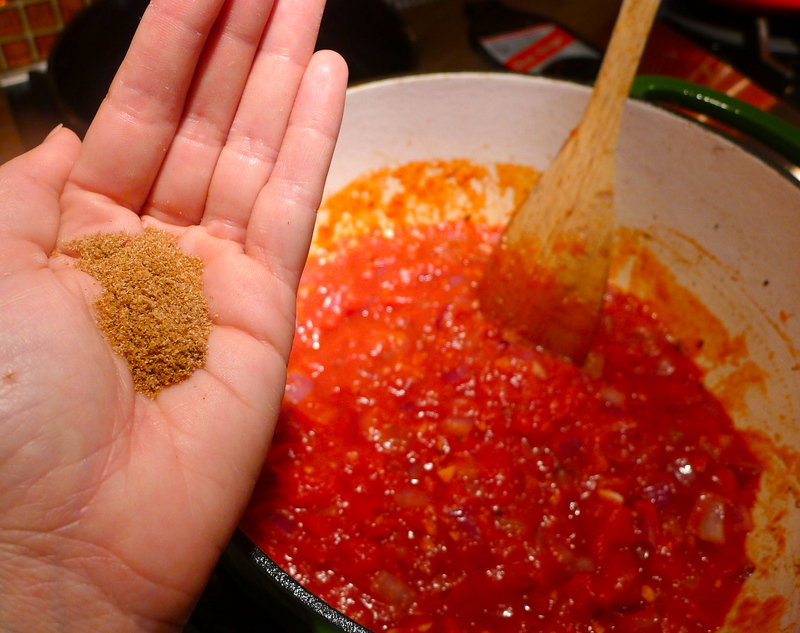 I let them soften just a tad before adding a can of crushed tomatoes, a palmful each of oregano and coriander, and some chicken stock. 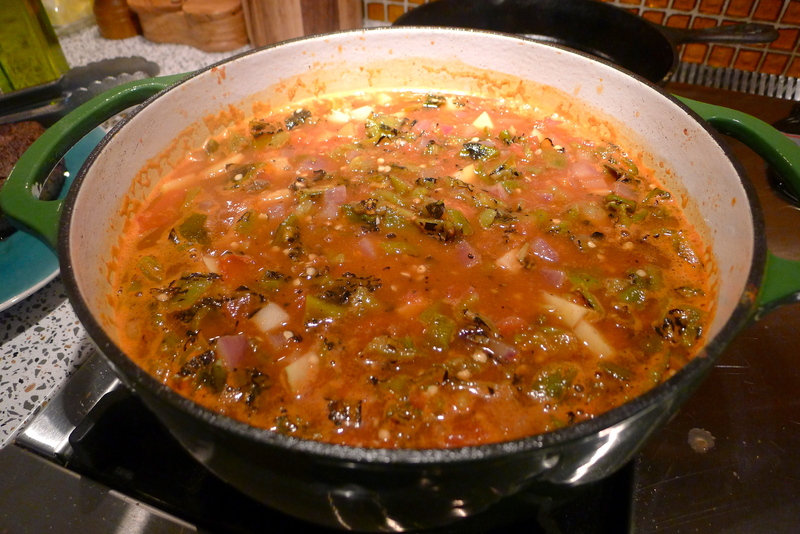 I added the potatoes and let the soup simmer a bit while I chopped up the whole green chiles. In they went, seeds and all! 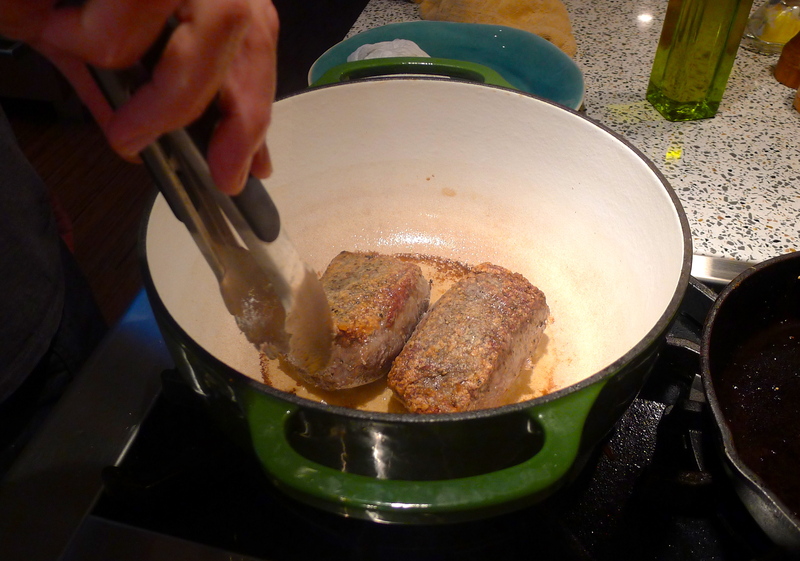 Meanwhile, John chopped up the meat and I added it back into the pot. All this stew needed now was time. 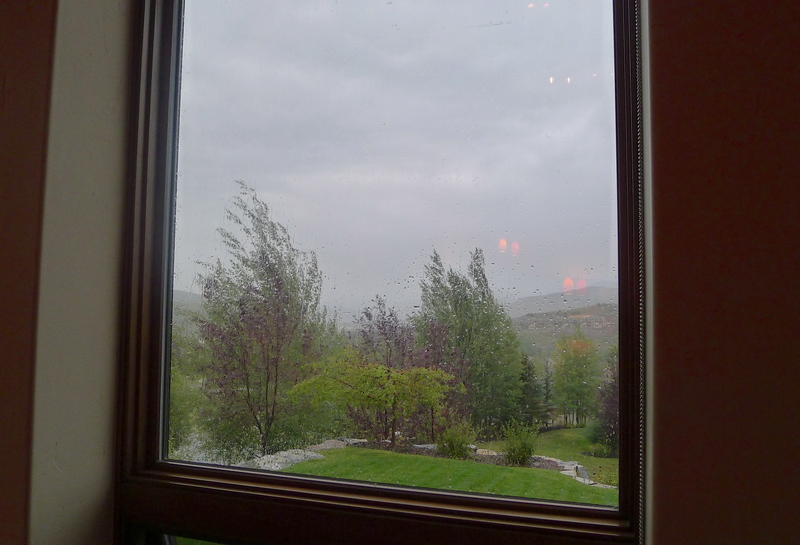 I left it alone for an hour to get amazing and watched the wind bending the trees in the yard. 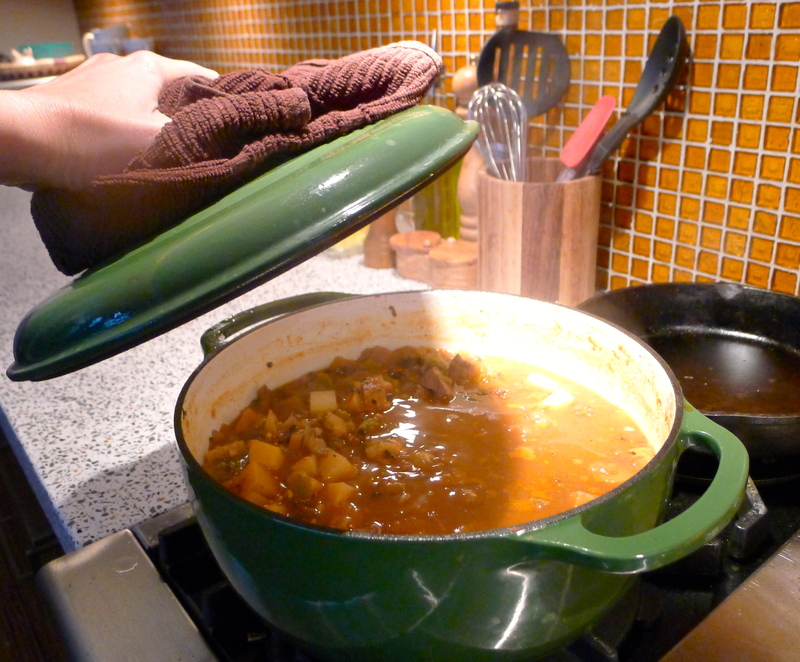 When I lifted the lid from the pot, the aroma of the stew made my mouth water. 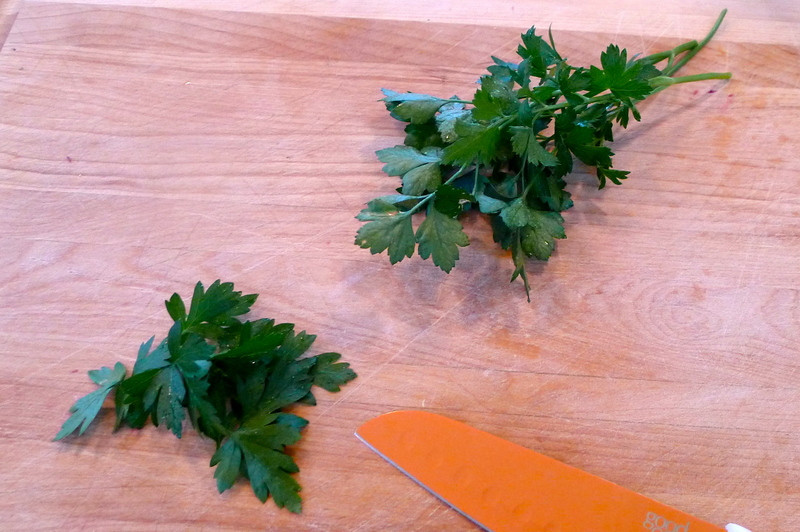 I chopped up some fresh parsley to top each bowlful and served it with warm tortillas. YUM! 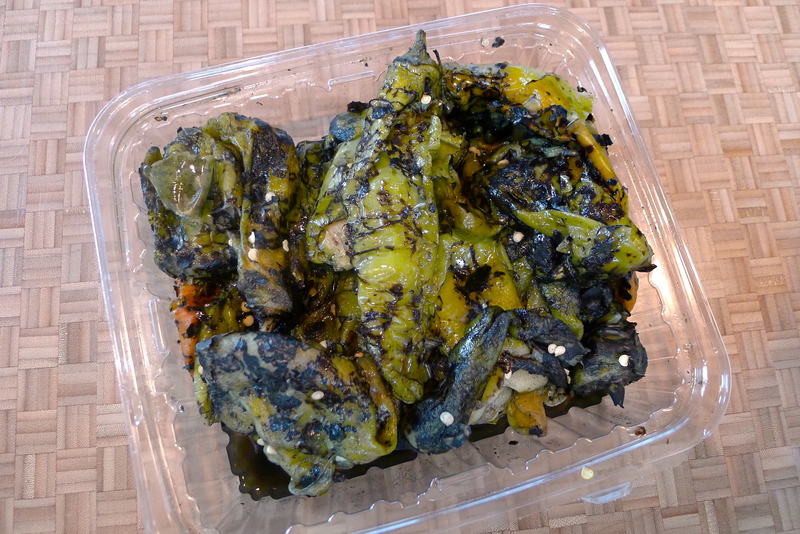 There’s no substitute for freshly roasted green chiles. 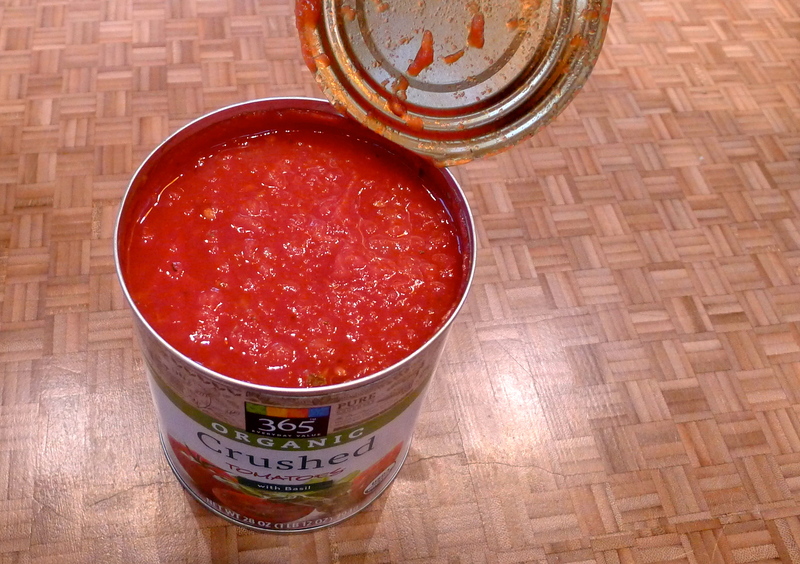 The canned version just doesn’t have that smoky, charred flavor. 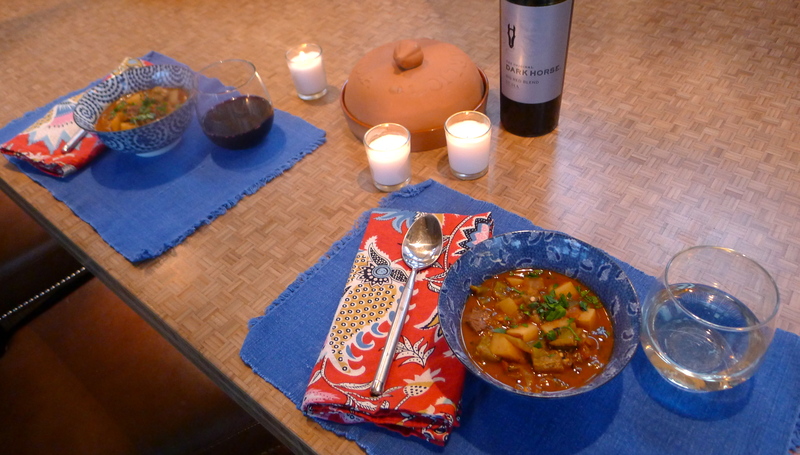 This stew was hearty, and the elk loin was tender and delicious. You could easily use steak, or leave the meat out altogether. 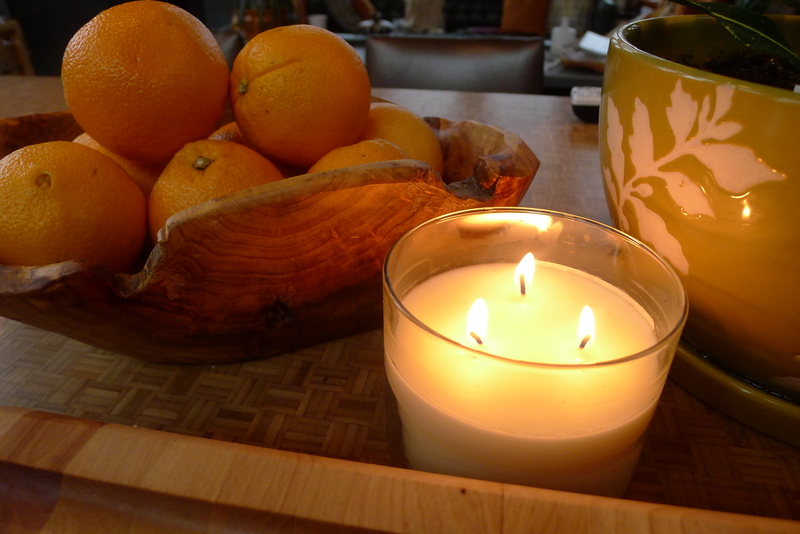 Perfect for a stormy night in slippers! 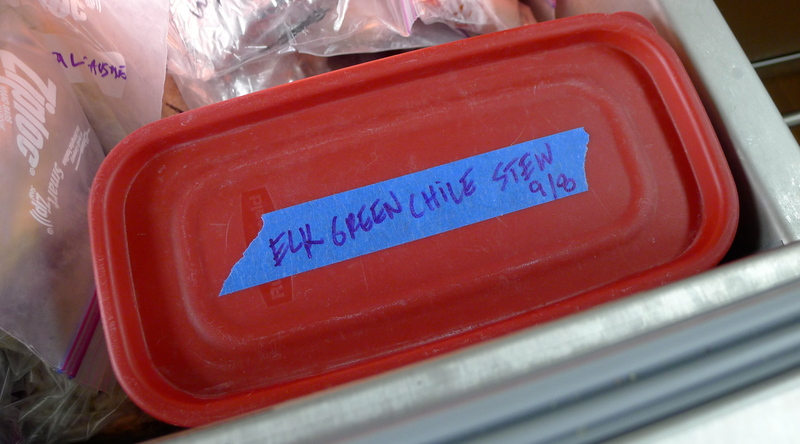 Bonus: I stashed some in the freezer for later this season, when the temperature drops and I’m craving that early fall flavor of roasted green chiles. 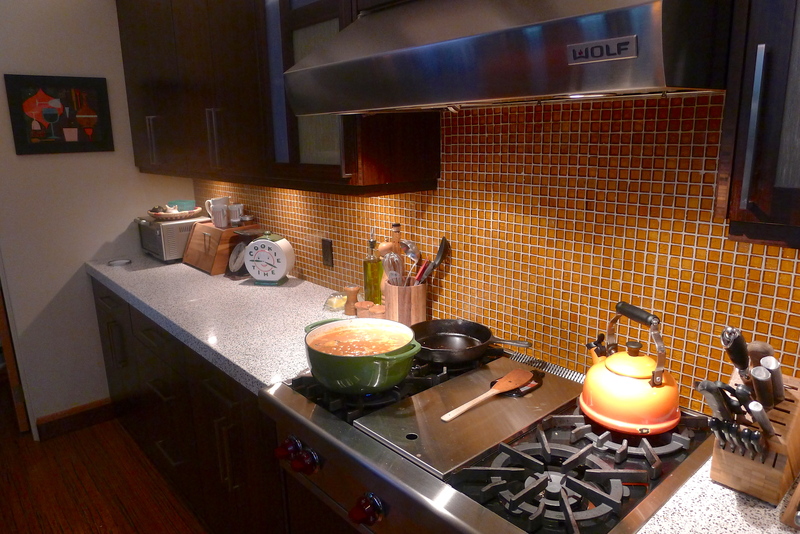 What’s your favorite “fall is here” recipe? Share! Heat the oil in a large Dutch oven over medium high heat. 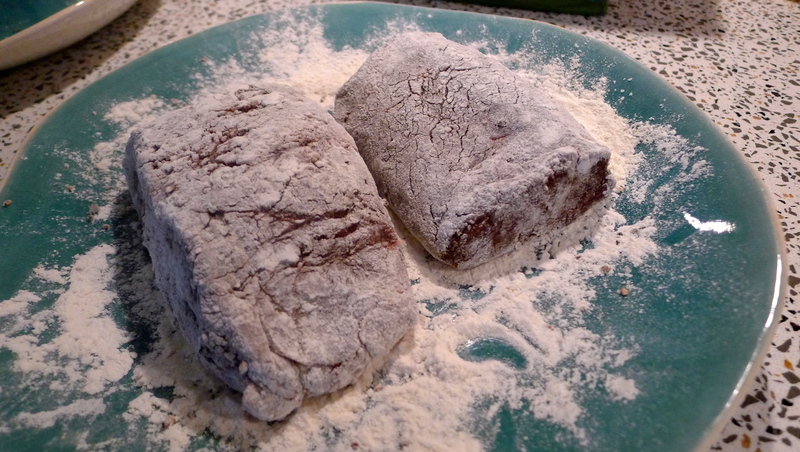 Dredge the sirloin in flour so it’s lightly coated. Salt and pepper the meat generously. Sear both sides of the meat, then set it aside. Reduce the heat to medium. 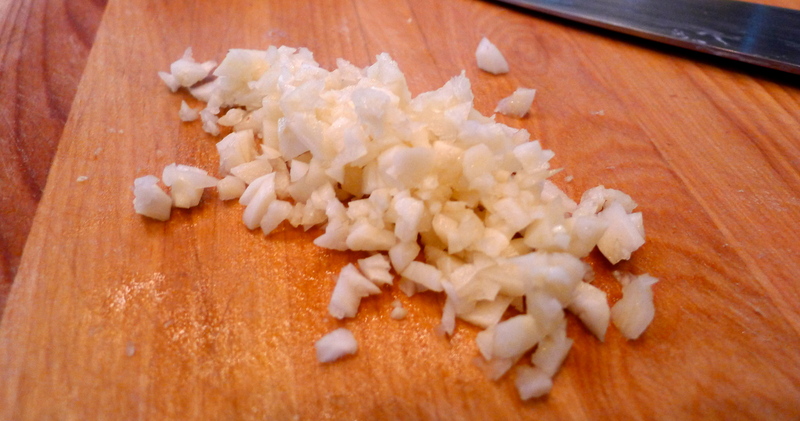 Add the onion and the garlic. 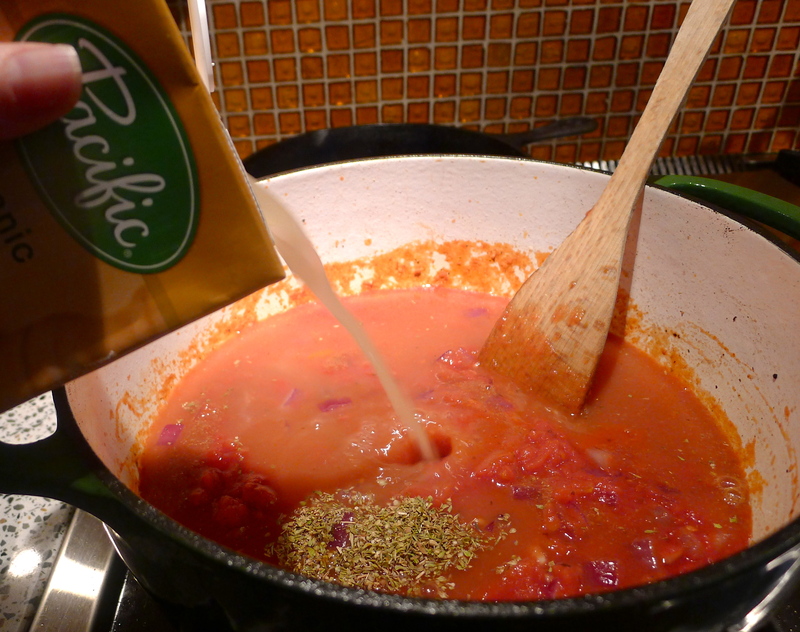 Sauté for a few minutes and then add the tomatoes, oregano, coriander, and chicken stock. 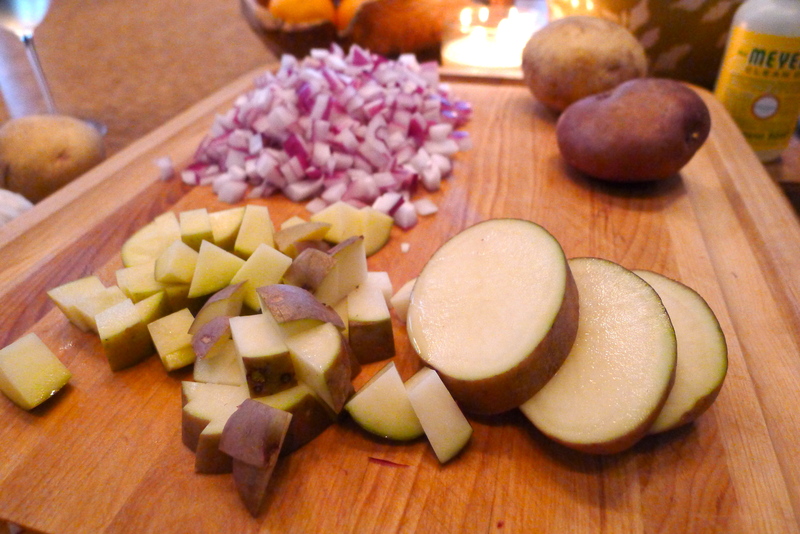 Add the potatoes and green chiles. 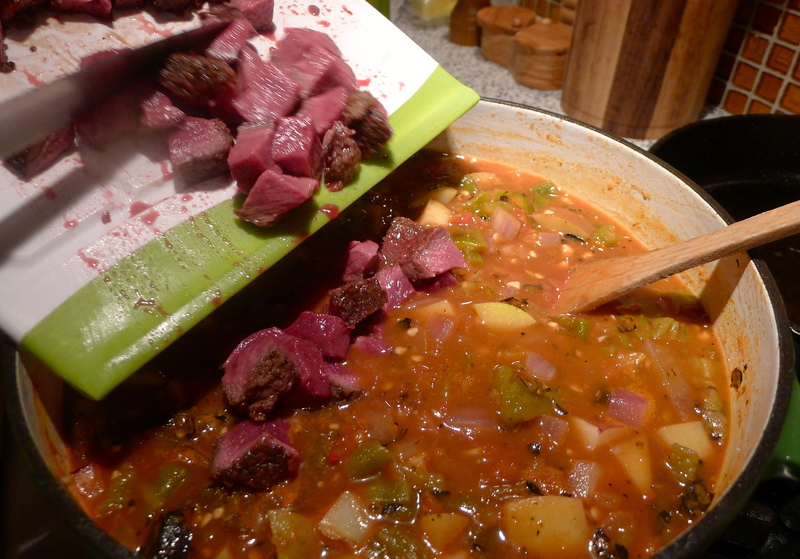 Chop up the sirloin into bite-sized pieces and add to the stew, including any juices. 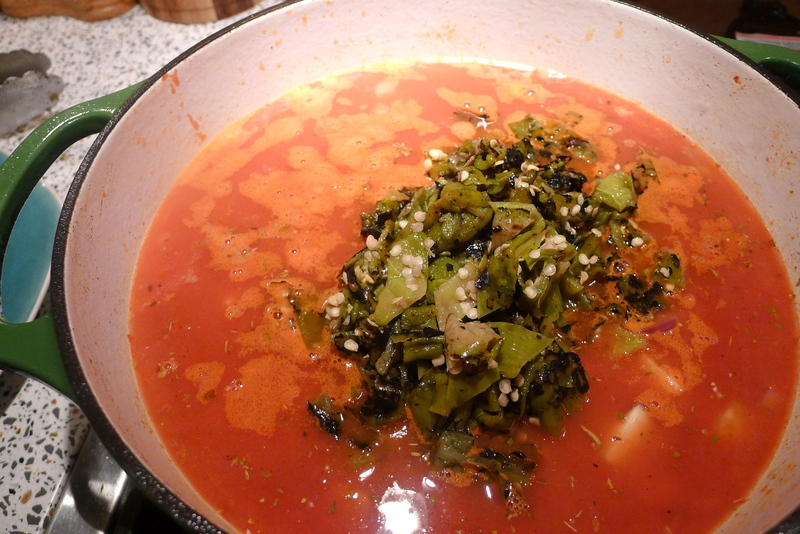 Bring to a boil and reduce the heat to a simmer. 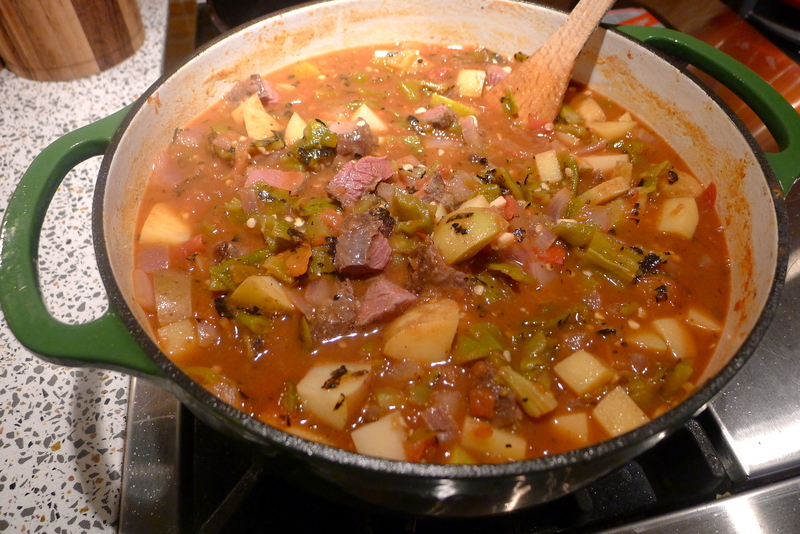 Allow stew to simmer for one hour. 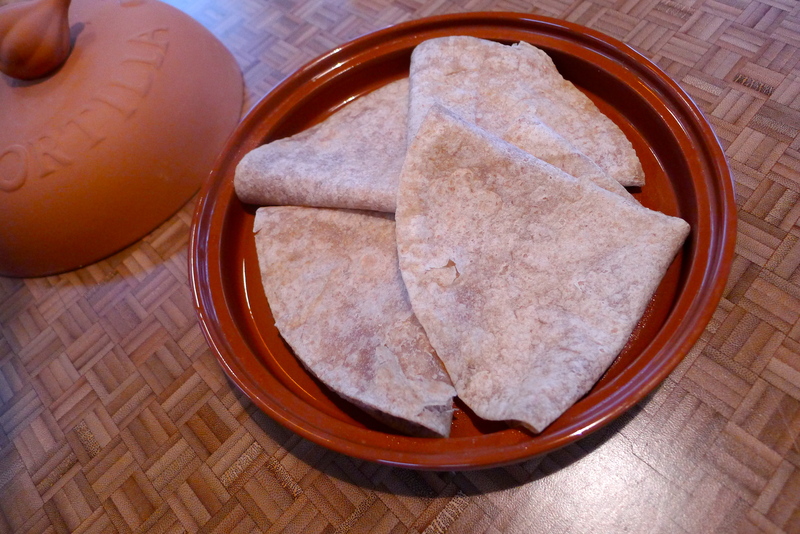 Serve topped with fresh herbs and with warm tortillas on the side. 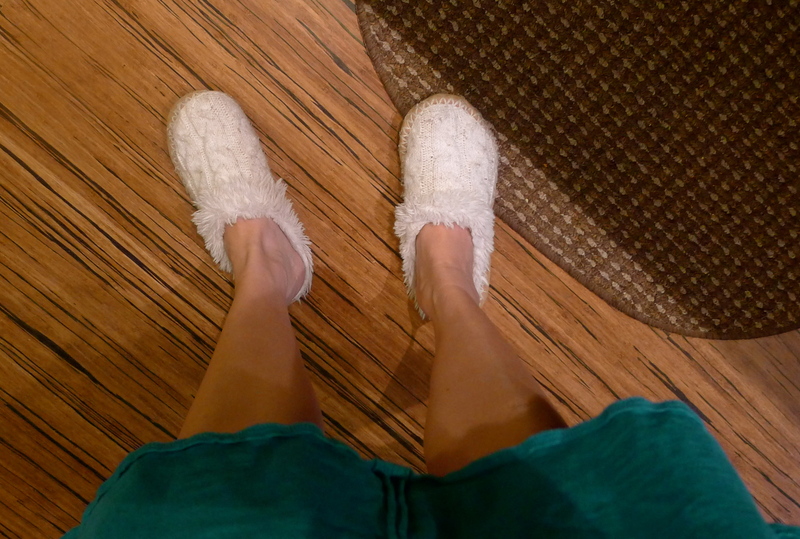 Tastes better wearing slippers. YUM! I so want a spoon right now to dig in – looks like a 2nd helping kind of dish – YUM:) Happy Thursday! It’s SO filling that a second helping would be a lot. But there ARE leftovers in the freezer…! I’m not much of a stew type of person but I go nuts for a bowl of roasted corn and poblano soup that and homemade pumpkin bread! Emily, I still need to make that yummy soup. ‘Tis the season! 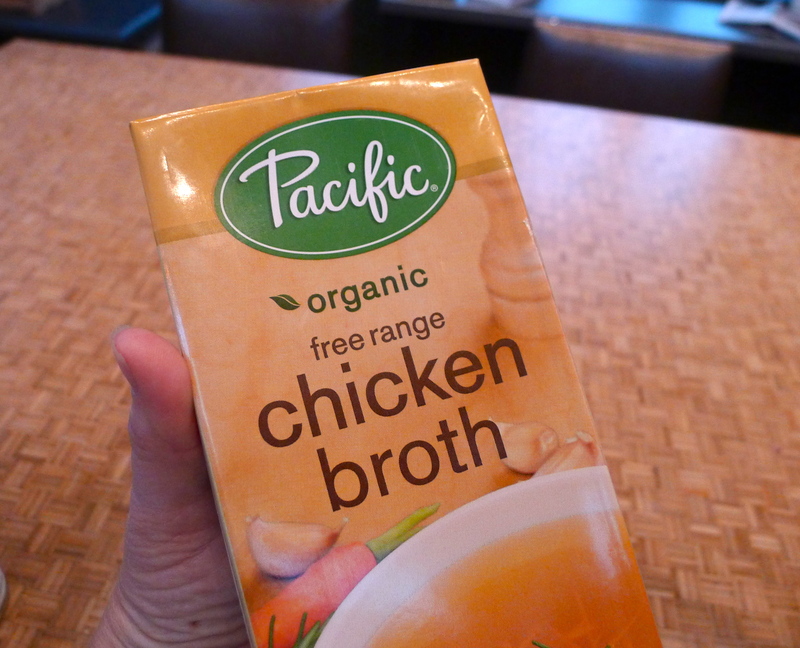 You can make soup now, too, now that you’re back in your new home! Yay! We’re actually having it this weekend, I picked up the ingredients today… farm fresh Colorado corn… mmmm! What a beautiful post! I’m so jealous of the elk loin. I bet if made a fantastic stew! It certainly looks delicious. 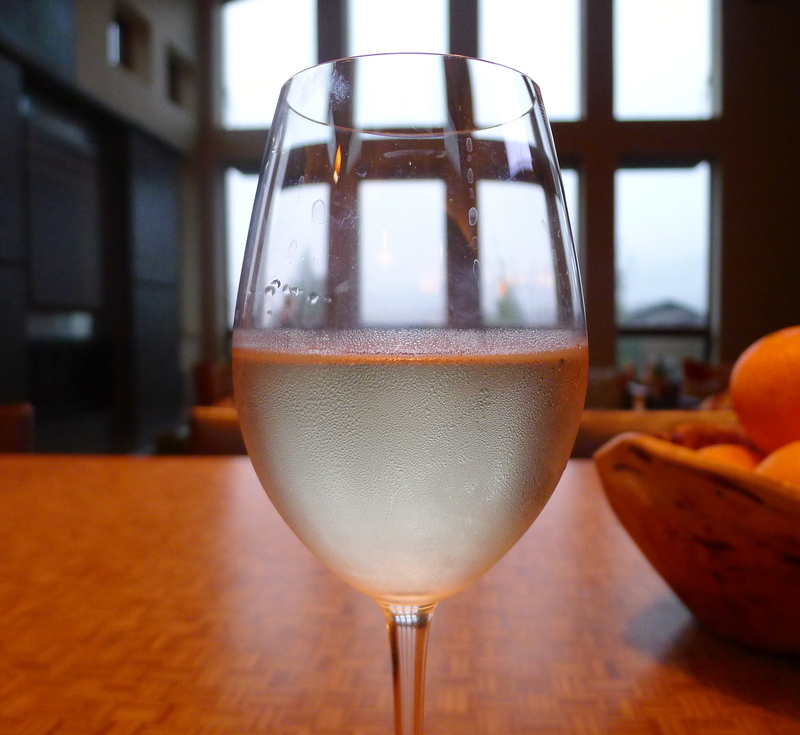 So glad you enjoyed the recipe and thanks for the trackback. You did a beautiful job and now I’m dying to find some elk. I LOVE you home!! The elk was a last-minute thought and it was really delicious! 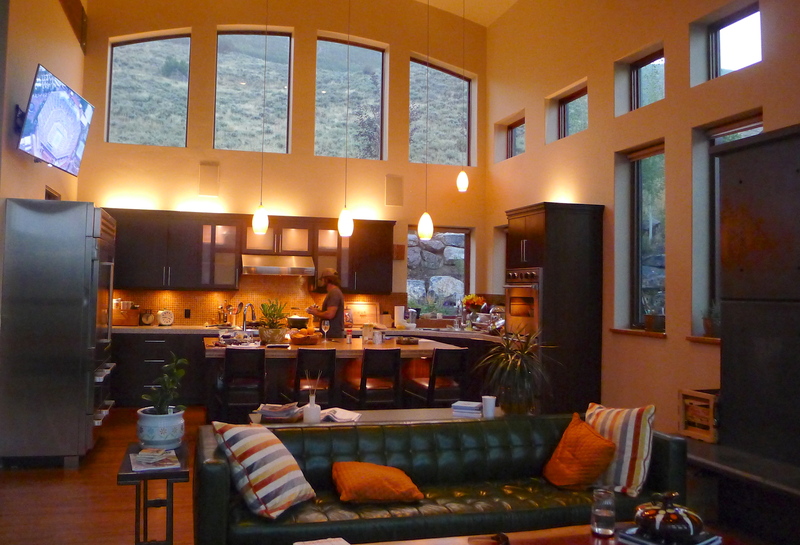 I loved your recipe because of its simplicity- you could really enjoy the green chile flavor. Thank you for taking a peek!! Let me skip the obvious “ooh” and “ahhh” ing over that amazing stew and ask you where on Earth you got those adorable paisley napkins?! Did you make them? I think you have enough craftiness in you to sew napkins 🙂 They are super cute, though! I love them. I have no idea how to thread the sewing machine I’ve had for two years. Sigh. Sounds like a good YouTube project. I have faith in you!